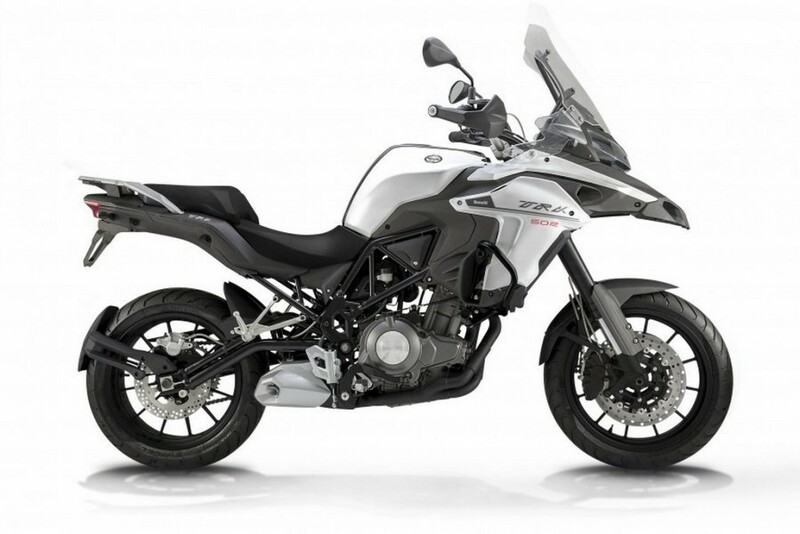 Benelli raised off the curtain from its new middleweight adventure Tourer, the TRK 502. 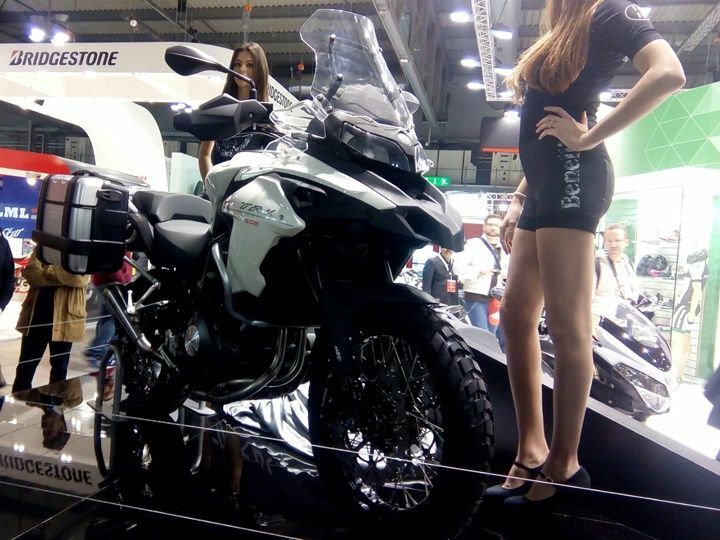 Apart from this, the remaining two launches at the 2015 EICMA were- Benelli Leoncino and Benelli Tornado 302. The TRK 502 gets a completely new design and it looks very similar to the larger TreK bike which was showcased at the India Bike Week (IBK) in Goa earlier this year. The bike looks like a heavy weight sports machine, which is smaller in size. Officials announced, the TRK 502 will reach to India after mid-2016, when done with the final production. Observing mechanically, the TRK 502 is powered by a 499.6cc, in-line two cylinder, liquid cooled engine that makes a power of 46.9 BHP at 8500 RPM and a peak torque of 45 NM at 4500 RPM, mated to a 6 speed gear box with hydraulic clutch while the chassis is fabricated with tubular steel. For suspension, it uses USD forks up front and a pre load adjustable rear mono shock. Braking duties are performed by Brembo made twin petal type discs in the front while the rear will get a 260 mm single disc with a twin-piston caliper. The new Benelli is equipped with a knobby type, 19-inch tyres up front and a 17-inch rear tyre, from Metzeler. The TRK 502 apart from the mechanical specs, looks rugged and a full sports adventure Tourer. The gigantic 20 litres fuel tank dips towards the rider seat. The step-up seat appears too big to lodge the rider as well the pillion with maximum comfort. It carries a dual headlamp which performs the illumination task while there's a tall windshield for eliminating wind blasts at higher speeds. Handlebars contain knuckle guards for the muscular look.